Yep, it is closing in on that time of year again when millions of voracious writers drive their drafts across the creative plains, an existential word round up – also known as, NaNoWriMo. Watch this section for tips, tricks and NaNotastic posts from now through December. NaNoWriMo Discussion: Are You In? by Ava Jae. 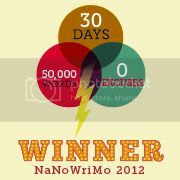 Also from Ava, How (Not) To Be A NaNoWriMo Champ. Another NaNoWriMo…Will This Year Be Different? by Larry Brooks. October is NaNoWriMo Prep Month by Alexandra Sokoloff. My Self-Publishing Thoughts After 50,000+ Ebook Sales by Lindsay Buroker. This is a MUST READ for all Self-Pub authors with lots of excellent ideas for any writer looking to go the indie route. How Do Self-Publishing and Traditional Publishing Compare by Ali Luke. This post has a video and transcript of Ali’s presentation to the Society of Young Publishers in Oxford, England. ‘Rogue’ Authors on a New Route: Writing on the Ether by Porter Anderson. Also from Porter, Discoverability – The Maiden Voyage. The Business Rusch: Why Writers Disappear by Kristine Rusch. This is a fascinating article – well worth the read, enlightening. A Business Plan for Self-Published Authors by Bestseller Denise Grover Swank via EPubGuide. The Newbie’s Guide to Publishing: Ebooks in Libraries: They Still Don’t Get It by J.A. Konrath. Amazon Self-Promotion Bear Trap Update: Further Carnage by Cate Russell-Cole. The Biggest Mistakes Self-Published Authors Make: Part 2, Part 3 and Part 4 all from Savvy Book Marketer (Dana Lynn Smith). These are quick reads with useful tips, well worth the minute. A Professional Editor Takes on Self-Editing by Linda Jay via Joel Friedlander’s site. Self-Publishing and Marketing Tips with Catherine Ryan Howard via The Creative Penn. Rejection and a Teflon Mind by August McLaughlin. Facebook vs. Twitter: Where the Readers Are by Roni Loren. Also from Roni, Your Facebook Page may be Blocking Your Fans. Why Evernote is Great for Writers by Ava Jae. This is the single most useful app on my phone, without exception. What Are the Important Elements of a Constructive Book Review? by Angela Orlowski-Peart. Twitter Unveils New People Directory by Digital Inspirations. The people aren’t new, but the ways to connect to them are always expanding. Also from Digital Inspirations: Your Facebook Pages Have a Resume. How to Win some Blogger Love: Scoring the Book Review, Guest Post or Interview by Kristen Lamb. Author Blogging: The Evolution of SPAM by Joel Friedlander. 4 Painless Ways to Come Up With New Blog Post Ideas by Rae Hoffman. Also from Rae, How to Create Targeted Sidebar Ads (Without Using Code). When and How Should You Start Marketing Your Book? by Yesenia Vargas. Organizing a Book and a Time-Saving Technique for Editing by Elizabeth S. Craig. Also from Elizabeth: Taking Characters on a Voyage of Self-Discovery. Physical Attribute Thesaurus: Hands by Becca Puglisi. Be sure to check out this incredible new resource from Becca and Angela at the Bookshelf Muse! Be sure to check out Kristen Lamb’s Structure Series! Part 3 – Introducing the Opposition & Part 4 – Testing Your Idea: Is it Strong Enough to make an Interesting Novel? Writing as Sculpture: Do You Build or Carve? by Jami Gold. Raising the Tension and Conflict in a Scene by Janice Hardy. How to Pick Up the Pace in Your Story by Kara Lennox via Writer’s in the Storm. Writing Historical Romance, Not History Lessons by Lyn Horner guest posting on Writer’s in the Storm. 5 Tips for Creating Characters Readers Can’t Wait to get back to by Jen Blood via The Creative Penn. 7 Things that make a Chronic Finisher Put Down a Book by Roni Loren. A “chronic finisher” is someone that always completes book – why didn’t they finish this one? 9 Easily Preventable Mistakes Writers Make With Dialogue by Ali Luke guest posting on The Creative Penn. Using Strangers in Photos for Creative Inspiration by Roz Morris. Gotta Have Java! Debunking Caffeine Myths by August McLaughlin. If you are a coffee drinker (if, right) then you will want to read this post. Excellence! Professional Resources for Writers by K.M. Weiland. The Top 3 Reasons to Get Out of Your Office by Marcia A. Richards. Be the Change You Wish to See in the World by Mhairi Simpson. 25 Ways to Get Your Creative Groove Back As A Writer by Chuck Wendig. This entry was posted in Resources and tagged amazon, bloggers, blogging, book marketing, book reviews, caffeine myths, characters, creative inspiration, dialogue, ebook sales, ebooks in libraries, facebook, Gene Lempp, historical romance, indie publishing, NaNoWriMo, publishing, rogue authors, self-publishing, sensation fiction, spam, twitter, writing, writing advice, Writing Blog Treasures, writing tips. Bookmark the permalink. Thanks for the fab shout-out, Gene! This mashup is quite comprehensive! Thanks, Gene for including my post in your big list of amazing writerly info! Since I’ve not been out and about much, I’ve only caught one of these posts–Denise Grover Swank’s post with business plan templates. She makes it less intimidating to write a bus. plan. I chose the 13th as a day off to go apple-picking with my grandkids and to read blogs to my heart’s content. So, I’m bookmarking this post and will enjoy all these links with a cup of warm cider. Enjoy the rest of your weekend, buddy! I had dinner with Barbara McDowell in Cleveland last night, and we were discussing your awesomeness–FYI, in case your nose itched. 😉 Thanks for the awesome shout outs and link-love, Gene! Off to check out some of your picks. What is PiBoIdMo? Why, it’s Picture Book Idea Month! 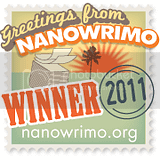 Novelists have fun in November with NaNoWriMo. Tara Lazar, a published children’s book author, created PiBoIdMo as a 30-day challenge for picture book writers. Sorry I’m late. This is an exceptionally excellent mashup! Woo hoo! Thanks for all these links. Thank you for including my post, Gene. And your mashup is fantastic, as always. I am clicking quite a few links here, especially on self-pubbing!